Training for the Open Age teams has begin at 6.30pm at the school field at St. Peters on a Tuesday and Thursday night. The Open Age are always looking for new players so if you are interested please email the website at stanleyrangers@aol.com or attend a training night to meet the coaches. Both the Open Age teams are playing a short season, from August to November this year and then playing Summer rugby from next March. The new Under 14s are now starting pre-season training from next Wednesday 20th July and Friday 23rd July. They will be training regularly on these days at the club, 6:00pm on both days. For the 2011/12 season the Under 14s will include children from present year 8 who are going up to year 9 in September. 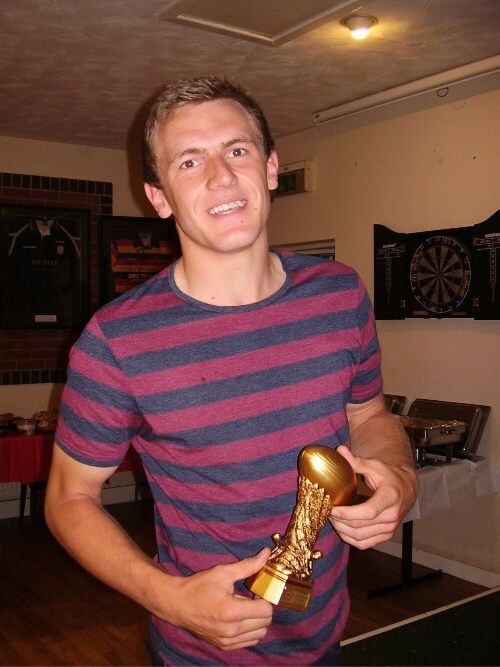 At the Open Age presentation evening on Saturday 9th July Joel Marsh was awarded the 1st team Player of the Year and the Players' Player. The Under 13s held their presentation evening on the 20th June.It was a fantastic evening and saw the team rewarded for all their efforts this season including reaching the BARLA County Cup final and winning the Wakefield District Cup final for a second year running. The evening was made even more special by the trophies being awarded to the lads from former Stanley Rangers and current Castleford Tigers player, Adam Milner. We look forward to a new season as Under 14s and extend a very warm welcome to all of the new players in the squad. The RFL have received a great amount of interest from clubs for the new Tier 4 competitions which will start in March 2012 with an interim season to be played from September 2011 to November 2011. The RFL-run Regional Leagues will sit at Tier 4 of Rugby League’s pyramid structure below Super League, the Championships and the Conference Leagues. The leagues will be made up of community teams who wish to switch to playing in a March-November season as well as clubs currently playing in the Rugby League Conference. Stanley Rangers have been placed in Group F along with Eastmoor Dragons, Normanton Knights, Castleford Lock Lane and Castleford Panthers. The first matches will be played on Saturday 13th August when Stanley will have a home fixture against Eastmoor Dragons. The other fixture will be Normanton Knights v. Castleford Lock Lane - Castleford Panthers having a bye. The teams will meet two sides, again on a home and away basis, from the other groups. The leaders of each group will meet on a straight knockout basis, culminating in a Grand Final on the 19th November.The second part of the season will begin in March. Take a look in the Club Shop to take advantage of the wizard offers tying in with the release of the final Harry Potter film. With offers from Waterstones and Asda Entertainment, you can get discounts on books, dvds and computer games of our favourite teenage wizard. The Under 11s held their end-of-season presentation evening at the clubhouse on Friday 8th July. They had a fantastic evening, enjoyed by players and parents. Awards were given to players and special thanks made to the parents and supporters who had helped through the season. The Under 10s will be celebrating the end of their season with a presentation night on Sunday (10th July). The club will be holding a family fun day for all the teams on Sunday 17th July. This event will be for all age groups and will include the famous Fun Run 2011. The day will kick off at 10am. Stanley Rangers' player Joel Marsh played in the opening fixture of the NCL Eagles against Languedoc Roussillon at Elm Park Way and scored a try in the 72nd minute. The final score was a good win for the Eagles 56-24. The NCL Eagles have been formed from players from Divisions One and Two of the Hattons Solicitors National Conference League. This game was the first of four scheduled annual clashes and without doubt the Eagles set a very impressive benchmark, running in ten tries against a French side that was determined not to make it easy for the Brits. Now it is the end of the season team presentation evening dates at the clubhouse are being organised. The Under 13s presentation night is on Saturday 18th June from 6pm onwards; U15s is 2nd July; the Under 8s is on Sunday 3rd July and the Open Age team is on the 9th July. The AGM will be held on Wednesday 15th June at the clubhouse at 7.00pm. Well done to the Under 14s Rangers who won the Wakefield District Sports Awards Junior Team of the Year. The award ceremony was held at the Cedar Court Hotel, Wakefield on Monday 6th June, hosted by BBC's Harry Gration. Wakefield rugby league legend Neil Fox handed out the awards and Wakefield Wildcats head coach John Kear, part of the three-person judging panel, was also in attendance. It was heartbreak for the Under 14s Rangers team when they were beaten by a last-gasp touchdown by Stanningley in extra time after the full time score was all-square at 16-all. Rangers had shown great determination to come back from 16-0 down and send the game to extra time. Stanley tries came from Tom McGretton, Dom Jones, Eddy Daley and Ben Cornell with 2 goals from McGretton. The U14s Rangers are to be congratulated for a superb season and their acheivement in reaching a national final. Stanley Rangers A team faced Castleford Panthers in the CMS Yorkshire Cup Final on the 25th May at Normanton. In the first half Stanley's tries came from Darrel Gaunt, Chris Higgs and Luke Moffat which were all converted by Johnny Karadzic. At half time the score was 12-18 to the Panthers who took command in the second half with further tries to make the final score 24-42 to Castleford. Rangers final try was from Christian Carney. 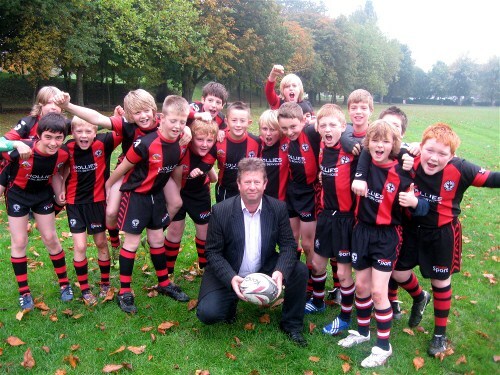 Stanley Rangers U13s have completed another successful season. Following promotion to the first division last season they finished a very admirable joint 3rd in the league, were BARLA Yorkshire Cup finalists and regained their Wakefield District Cup winners title for a second year running. Well done to all of the players and coaches for their efforts this season. We look forward to the next season and would like to extend a very warm welcome to the new players that will be joining us as we enter the 2011/12 U14s season. Following the reunion evening on the 20th May, more photos of the event are now online. It would be very helpful if readers could help by providing names for any photos which do not have captions, as it was not always possible to catch everyone's name. All these photos are available as high resolution images for personal use by emailing stanleyrangers@aol.com. Please take a look at this week's rugby papers who both feature the photo taken at the clubhouse in their local news pages. 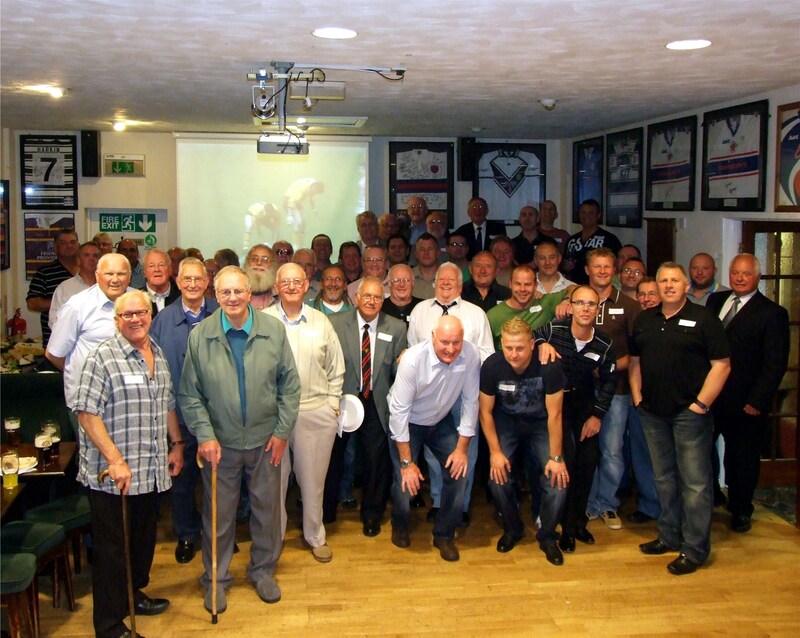 A wonderful evening was held at the clubhouse for present and former Stanley Rangers players on Friday 20th May. Over 60 people attended and enjoyed an excellent buffet provided by the club and a chance to meet up with old friends. Videos of matches featuring Kevin Ward, Gary Lord and Malcolm Sampson were shown and old team photos from the 1950s onwards had been brought and these sparked off many reminisces. Thanks go to Barry Walker and Barry Scales who worked so hard organising the event; Julia Lord for providing the fantastic buffet; Emma King for collecting memories and everyone at the club who put so much effort in to make such a memorable evening. More photos of the evening will be available on the website shortly. Congratulations to the A team who have got through to the CMS Yorkshire League Cup Final by beating White Rose 32-22 at the weekend. They will face Castleford Panthers who won their semi final against Methley Royals 38-10. The final is scheduled for Wednesday 25th May at Normanton and the kick off is at 7pm. The A team will face Castleford Panthers again on June 1st in the Diviskion Three top four play-offs. The venue is again at Normanton, kick off at 7pm. Don't forget that on Friday evening - 21st May - Stanley Rangers are hosting a reunion evening for all players and ex-players. Everyone is welcome and we look forward to seeing you from 7pm onwards at the clubhouse. Four Stanley Rangers junior teams played in the Wakefield ARL Cup finals at the weekend with great resutls. The Under 12s were narrowly beaten by Normanton Knights U12s 12-18, The Under 13s took on the Normanton Knights U13s and won 20-6, whilst the Under 14s Rangers had a huge win over Walton Warriors U14s 62-10.The U14s Rangers will be taking on Stanningley in the National Cup final on May 29th so we wish them much luck. Finally the Under 15s beat Normanton Knights 32-12 in their final. This is the second final the Under 15s have won this season as well as being top of their league. All four teams have done amazingly well to reach the finals and we congratulate them all. Four more trophies have been added to the silverware for Stanley Rangers - a fantastic achievment this season. Stanley Rangers A team have been having a good run recently and after beating Ryhill Hammers 22-18 and then Eastmoor Dragons 22-8, have moved up to third in the CMS Yorkshire League Division Three. This Saturday - 14th - the team are away at White Rose in the semi final of the CMS Cup so we wish them lots of luck. UNDER 15S LIFT THE CUP! In the second final in two days for Stanley Rangers junior teams, the Under 15s beat York Acorns 22-20 in a tightly- contested match in the YJARL U15s Challenge Cup Final. Tries came from Christian Sutcliffe, Vinny Cross, Conner Ballinger, Charlie Ledger and Callum Hutchinson and a goal from Josh Hattle made the points for Stanley. Congratulations to the Under 15s, crowning an excellent season and finishing top in Division One of the league. Congratulations to the Under 14s Wildcats who beat Walton Warriors U14s 20-12 in a closely-fought match to take the YJARL Continuation Cup final on the 1st May. Tries from Connor Morgan (3) and Jack Pemberton, with two conversions from Liam Gaunt, gave the Wildcats the points they needed to lift the silverware. The Under 14s have had a great season and finished second in Division Three of the league. The A team have been having a good season in the CMS Yorkshire League Division Three and after a big win 62-16 over Heworth are currently fifth in the table. On Wednesday May 4th the team will be playing at home against Eastmoor Dragons A so please come along and give the team your support. With Stanley Rangers having finished their season, the remaining top four teams are still playing for promotion places. Oulton Raiders are assured of promotion to the Premier Division. Ince Rose Bridge have completed their games and currently lie second, whilst Rochdale Mayfield in third have one more game to play and Myton Warriors have 2 more games and are in fourth place. On Saturday 7th May, Rochdale and Myton play, promising to be an exciting fixture. The Under 14s Rangers will be taking on Stanningley U14s in the BARLA National Youth Cup Final on Sunday 29th May at the Woodlands Memorial Ground, Fylde RUFC in Lytham St Annes. The match features in Day Two of BARLA's Blackpool Bonanza for the National Cup Finals. We wish the boys every luck in such a big game. Rangers faced close table rivals Ince Rose Bridge but it was the visitors who came away with the two points, winning 52-8. and kept their hopes of promotion alive. The Yorkshire Junior Finals will be played over the Bank Holiday weekend at Featherstone Rovers' Big Fella stadium. Sunday May 1st is given over to the Continuation Cup Finals and Stanley U14s Wildcats will be playing at 1.15pm against Walton Warriors. On Monday May 2nd, the Challenge Cup Finals will be played and our Under 15s will be in their final against York Acorn, kick off 2.30pm. Both these teams have done fantastically well to reach their finals and your support on these two days will be much appreciated. We wish our teams the best of luck! Stanley Rangers Under 15s took on Lancashire side Bold Miners and it was the Yorkshire team that came out on top 16-12, in a closely-fought game. The club is holding a re-union night on Friday 20th May from 7pm for all Stanley Rangers players past and present. There will be food provided and we will be showing some DVDs of some of the ex players - Malcolm Sampson, Kevin Ward and Gary Lord. Everyone is very welcome to attend and we hope to see as many of you as possible to enjoy a great night catching up with friends old and new. The top-of-the-table clash between Oulton Raiders and Stanley Rangers on Tuesday evening ended with a win for Oulton Raiders 18-10. Raiders are assured of their promotion to the Premier Division already. Stanley have one more game against Ince Rose Bridge on the 23rd April. Ince are just one place above Stanley in the table. Stanley travel to top-of-the-table local rivals Oulton Raiders on Tuesday 19th April with a 7.00 pm kick off. Go along and give our boys your support! Rangers' promotion hopes were finally ended as Stanningley took a 30-12 win over Stanley and took the two points. At half time, the game was in the balance with Stanningley only 14-12 ahead. Jackie Hogan added a try in the second half but a converted try from Stanningley gave them the edge and further tries from them kept their relegation hopes alive. Chocolate heaven in the club shop just in time for Easter! There are bargains from Thorntons, as well as great offers from Play.com and Waterstones with ideas to keep all the family entertained over the holidays. Remember, every purchase helps the club. A try four minutes from the end gave Rochdale Mayfield the win in this meeting of second and third placed teams in Division One. Rangers remain in third place but Ince Rose Bridge who are just below, have a game in hand. A report of Stanley's match can be found on the team page. There is no match this weekend. Last weekend saw two of our junior teams have fantastic wins in their semi-finals to both reach finals. The Under 14's Wildcats had a fantastic win at home against Stanningly 22-6 in the YJARL Continuation Cup semi final. Then the Under 14's Rangers reached the National Cup final by beating Shevington Sharks 28-10. 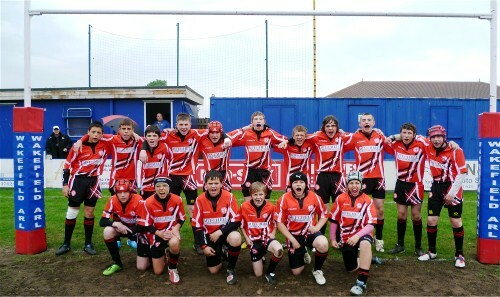 The U14s Wildcats will face Walton Warriors in their final on the 1st May at Featherstone Rovers ground. The Under 15s reached the final of the YJARL Challenge Cup by beating Hunslet Parkside 32-12 and will take on York Acorn in the final on May 2nd. We congratulate all the teams on their achievements and the U14s Rangers particularly wish to thank all the parents, friends and supporters at their semi. Well done lads! As the promotion race hots up, it was Myton Warriors who came out on top against Stanley Rangers 10-32. This puts Stanley third below Rochdale Myfield with Oulton Raiders still first. The Under 14s Rangers will be playing at home this weekend (27th March) in the semi final of the BARLA National Cup against Shevington Sharks of Wigan. The team have had a tough route so far to this stage with wins against West Hull, Skirlaugh Bulls, Milford Marlins and Ince Rose Bridge. Stanley Rangers have not had any junior teams at the Under 14s level in the National Cup final so it would be a fantastic achievment if the team could reach the final. The kick off is at 11.30am so why not go along and give the boys your support. The second semi-final for our Under 14s teams also takes place on the 27th March when the Under 14s Wildcats will be playing in the semi final of the U14s Continuation Cup against Stanningley A on the 27th March. We wish both our teams good luck! Rangers continue their push for the top spot in Division One with a good win over Milford Marlins 33-16. Stanley led from the start with 14 points in nearly as many minutes to put the visitors on the back foot. Tries from Matty Firth, James Gollings, Joel Marsh (2) and Kevin King, along with a file kicking game from Danny Grice which totalled 13 points kept Stanley in second place in the league with Oulton Raiders ahead. This weekend the 1st team are away at Myton Warriors. The A team are making good progress in Division Three of the Yorkshire League. A 40-22 home win against Whinmoor moves them up into fourth place in the division below Castleford Panthers, Shaw Cross A and Eastmoor Dragons A. This weekend the A team are at home to White Rose. Congratulations go to the Under 15s and the Under 14s Rangers who both had great wins in their cup games over the weekend. 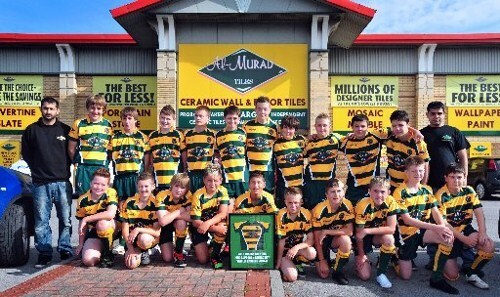 The Under 15s beat Hunslet Parkside 32-12 in the semi final of the U15s Challenge Cup. They will play York Acorn in the final. Acorn beat Lock Lane 34-16 in their semi game. The Under 14s Rangers travelled to Newsome Panthers and had a comprehensive win 50-4 in the U14s Challenge Cup. Well done to both teams and good luck to the Under 14s Wildcats who will be playing in the semi final of the U14s Continuation Cup against Stanningley A on the 27th March. This week's offers from the Club Shop include offers from Boden, Superdrug, MyBag and Gifted. All you need to do is go to the club shop webpage and continue to click through all the screens. When you complete your purchase the club will benefit from the commission listed for each item. It's so simple - give it a try! Rangers' trip to Millom resulted in a tense struggle which ended in a win for the home side 14-8. At half time Millom were leading 10-4 but Stanley reduced the lead to two points in the second half. Both sides were desperate for a win but with four minutes remaining it was Millom who managed to cross the line to put their winger Barshaw in for the winning try. This weekend Stanley are at home to Milford Marlins. Great results from the Under 14s and Under 15s teams have moved them on into cup semi-finals. The Under 14s Rangers play in the quarter finals of the Challenge Cup this Sunday - 13th - and the Under 14s Wildcats have reached the semi finals of the Continuation Cup and will be playing against Stanningley A on the 27th March. The Under 15s have also had a great cup run and have reached the semi finals of the Challenge Cup. They beat Oulton Raiders 26-8 and will now face Hunslet Parkside at home this Sunday 13th. The kick off is at 10.30am and your support would be greatly appreciated. The eagerly-awaited game between league rivals Stanley Rangers and Oulton Raiders was called off on Saturday after sustained rainfall led to a waterlogged pitch. This Saturday, 5th March, Rangers are away at Millom. A 26-14 win at Eccles have moved Stanley Rangers to the top of NCL Division One. Five first half tries gave Rangers the control of the game and despite a second half comeback by the hosts, Rangers earned the two points. This gives Rangers the top position in the diivision which is a fantastic achievement after only promoted to the division this season. This weekend, February 26th, sees a key match for the club when Rangers travel to division rivals Oulton Raiders, currently second in the division. Please come along and give the team your support! Rangers kept up the pressure on league leaders Oulton Raiders with an emphatic win over Castleford Panthers 24-6. Tries from Matty Firth, Scott Childs, Danny Grice and Danny Sampson along with 4 goals from Grice gave Stanley the points to keep them in second place in the league. This coming weekend, Stanley travel to Eccles currently at the bottom of the table. Stanley Rangers U13s would like to build on the success of promotion to the first division this season and reaching the BARLA Cup final and the District Cup final by expanding their squad. New players are welcome to join for the remainder of the 2010/11 season or in preparation for the 2011/12 season. Any one who would be interested in playing with a successful, hardworking team please contact Julia Lord on 07752 004949. The 2nd round tie against Castleford Lock Lane proved to be a real "game of two halves" when the hosts fought back in the second half to just win by a penalty in the 67th minute. Stanley Rangers lost 16-22 in a second-half comeback from local rivals Castleford Panthers in round 2 of the BARLA National Cup. After a comfortable 12-0 half time lead Rangers were looking for a home win but Panthers fought back and came out winners. Next weekend, Rangers will play at Castleford Lock Lane in Round 2 of the Carnegie Challenge Cup. Lock Lane had a rearranged match against Halton Simms Cross on Sunday, after six of the nine scheduled ties for Round One were postponed because of frozen pitches. Lane came out 38-4 winners to move to the next round. Rangers A team fixture against Northallerton was postponed at the weekend. 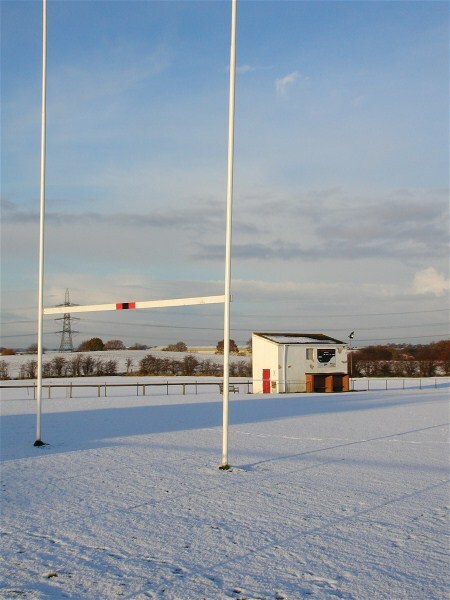 In the Wakefield ARL Physiowise Cup, the match between Sharlston Rovers A and Stanley Rangers A scheduled for February 5th has been postponed. The A team will now be playing Crigglestone All Blacks in the Wakefield ARL Brian McDermott Cup quarter finals. In our junior teams matches there were some highs and lows. The Under 15s were too strong for Stanningley in the U15s Challenge Cup and won 70-0; in the BARLA National Youth Cups, the U14s Rangers beat Ince Rose Bridge 28-0 whilst the U14s Wildcats fixture at Latchford Albion was postponed. In the U13s Challenge Cup, the U13s lost to Oulton Raiders 0-18. 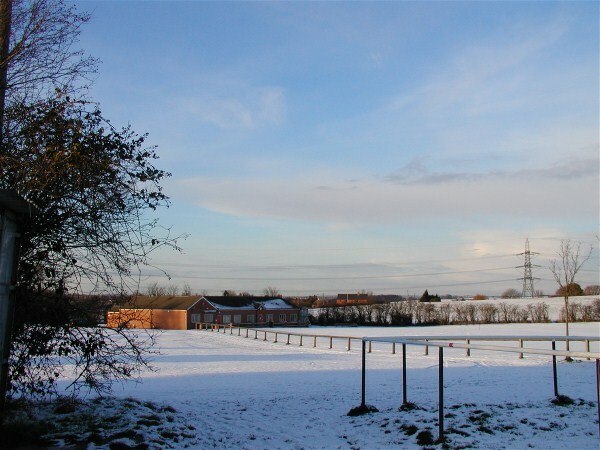 All matches in the Under 12s cup fixtures were postponed due to frozen pitches. The 2nd Round of the Carnegie Challenge Cup was drawn at Red Hall and Stanlely Rangers have been drawn away against either Castleford Lock Lane or Halton Simms Cross. The matches have to be played the weekend of February 5-6. Rangers moved into promotion placing with an impressive win 30-12 against local rivals Normanton Knights. Tries from Grice, Rhodes, Whitehead, King and Firth with goals from Grice and 4 from Whitehead put Rangers into 2nd place in Division One. Cup action over the weekend resulted in fine wins for our junior teams. In the Yorkshire Youth Cup, the U14s Rangers beat Heworth 34-8; the Under 14s Wildcats had a 50-0 win over Featherstone Lions in the Continuation Cup; the U13s qualified for the Final of the U13s Cup with a 12-2 win over neighbours Normanton U13s and the Under 12s beat Methley Warriors 32-4 in the Challenge Cup. This coming weekend sees the Stanley Rangers junior teams kicking off their cup matches. The Under 12s are at home on Saturday 22nd to Methley Warriors in the U12s Challenge Cup; the Under 13s travel to Oulton Raiders in the U13s Challenge Cup also on Saturday; on Sunday 23rd the U14s Rangers are at home to Dewsbury Celtic in the the U14s Challenge Cup and, finally, the Under 14s Wildcats play in the Continuation Cup also at home against Featherstone Lions on Sunday 23rd. Good luck to all the teams! Wins for the 1st and 2nd teams at the weekend moved the teams up their leagues after the long winter lay-off. The 1st team beat Oldham St Annes 36-22 which kept them in fourth place in Division One in the NCL. The A team won 36-30 against Shaw Cross Sharks A which moves them to fourth in Division Three in the CMS Yorkshire League. This weekend - 22nd January - the A team are away against Crofton Cougars A. The Serious League – for teams wishing to use touch rugby as a form of serious competition. Rules will be adhered to more strictly. For the teams that consider themselves experienced or higher ability. Teams can be single gender or mixed. The serious league will run from: Wednesday 27th April – Wednesday 29th June. Kick off times will be: 6pm; 6.45pm; and 7.30pm. The league will consist of two divisions of 6 teams. The Social League – this is for teams that wish to take part for the love of the game and social enjoyment. There’s a more relaxed approach to the game and is for mixed ability teams. Teams can be single gender or mixed. The Social League will run from Wednesday 6th July – Wednesday 7th September. Kick off times will be: 6pm; 6.45pm; and 7.30pm. The league will consist of two divisions of 6 teams. For more information please email stanleyrangers@aol.com for application forms. A drop goal by Kevin King in the second minute of extra time took Stanley Rangers through to the first round of the Carnegie Challenge Cup. In the first half Stanley built up a 14-4 lead but Shaw Cross came back in the second half resulting in a 20-all result at full time. Rangers next game is at home against Oldham St. Annes on Saturday 15th January, kick off 2pm. The A team had an overwhelming win against Harehills Pigeons 94-6 in the preliminary round of the CMS Alliance Cup competition. Other results in the round were; Ryhill 40 - Whinmoor 10; Eastmoor 18 - Crofton A 0; Northallerton v Heworth postponed. Our junior teams have begun their 2011 matches after the Christmas break. The Under 13s beat Dudley Hil U13s 18-10 but the Under 14s had their Yorkshire Cup fixture against Heworth postponed. In the BARLA National Cup draw, the U14s will travel to West Hull at the weekend. 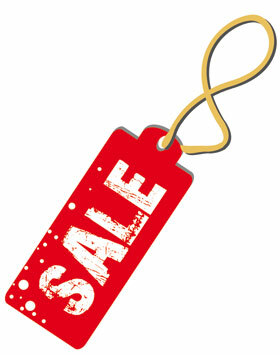 GRAB A BARGAIN IN THE JANUARY SALES! Bargains galore are in the online club shop this month. With top brand names such as M & S, Asda and Play.com there are great price reductions to be had, as well as the chance to earn commission on each purchase which goes to Stanley Rangers. Widnes St Marie's ARLFC have confirmed its withdrawal from membership of the National Conference League returning with immediate effect to the KUKRI North West Counties League. This means that all fixtures involving Widnes St Marie's ARLFC either played with a result recorded or indeed scheduled for play in the subsequent weeks of the current season will be summarily expunged from the National Conference League's records. All clubs in membership of the National Conference League will be receiving a revised Division One table reflecting all current results excluding those of Widnes St Marie's ARLFC from the NCL administrator. For the first time, the ACE Insurance Europe Ltd BARLA National Cup has been seeded to attract more teams from the lower reaches of the regional leagues. Play begins on the 4th December, with Stanley Rangers entering in the 2nd round on January 29th 2011. Barring a late referees' decision today, the two Open Age games will be played. The 1st team are at Shaw Cross in the preliminary round of the Challenge Cup and the match kicks off at the slightly earlier time of 1.30pm. The 2nd team are also away, at Harehills in the League Cup, kick off 2pm. After the long spell of no games due to the severe weather conditions, hopes are raised that matches will be able to go ahead this coming weekend, subject to ground inspections. The two Open Age teams are involved in cup games on Saturday - the first team are away at Shaw Cross in the preliminary round of the Challenge Cup and the second team play at Harehills in the CMS League Cup. I would like to wish all the players, coaches, parents and supporters a very happy Christmas and a healthy and peaceful New Year. 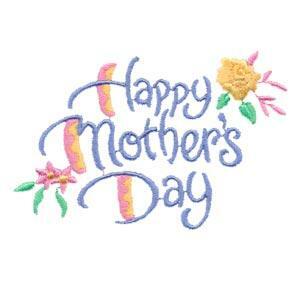 I have been running the website for 7 years and thank you for all your support and contributions. The draw for the opening stages of the BARLA National Youth Cup has been made and our two Under 14s teams are involved. The U14s Rangers are drawn away against West Hull and the U14 Wildcats have a bye. The games have been scheduled for Sunday January 16th 2011. Due to the disruption caused by the bad weather the BARLA Yorkshire County fixtures have been suspended over the Christmas period. Fixture will resume on Sunday 9th January 2011. Congratulations to the Under 13s who beat Farnley Falcons in the quarter finals and have now been drawn against Normanton Knights in the semi finals. The other semi will be Castleford Panthers v Oulton Raiders/Hunslet Parkside. Dewsbury Celtic/Drighlington v Westgate Wolves. The draws for the Preliminary and First Rounds of the 2011 Carnegie Challenge Cup have been made at the George Hotel in Huddersfield. The Preliminary Round is to be played on January 8 and 9 2011. Stanley Rangers have been drawn in Pool A. The 2010 Club Christmas Raffle has now been drawn. Some of the tickets have already been claimed but if you find you have a winning ticket please contact Emma King or Barbara Rawlinson to arrange to collect your prize. No fixtures went ahead at the weekend thanks to the continuing cold snap. The total wipe out is the third time in four weeks that the league has suffered a blanket postponement. The league returns to action on Saturday 8 January. All the matches in the BARLA Yorkshire Youth Cups, the Yorkshire Junior League and the Yorkshire Combination Youth League were postponed. With the results of the last two weeks of severe weather, coupled with the drop in temperature, pitch inspections will be carried out at the club. Pleae check with your team administrators before the match date. With only one week left to Christmas, it's time to look at the online Club Shop and pick up some last minute bargains and also help the club. Take a look at the Club Shop page and see what you can find from the comfort of your armchair. Although the weekend's game against Oulton Raiders was postponed, the coming weekend's game at home against Oldham St Annes on Saturday 18th is still scheduled with a 2pm kick off. Once again, the weather wiped out the weekend's fixtures. Although there was a strong thaw towards the end of last week, the state of pitches meant that only a few games were played in all the divisions. The A team fixture against Crigglestone All Blacks in the Wakefield Open Cup was postponed last Saturday. The next planned fixture is away against Whinmoor on Saturday 18th December. The CMS Yorkshire League has made the draw for each of its three cup competitions. The A team has been drawn against Harehills in the CMS Cup. Ties are to be played on Saturday 8th January 2011. Due to the bad weather, the Under 14s Wildcats are currently training on the astroturf at Outwood Grange School on a Friday 6.30 to 7.30pm. Once again, severe weather has meant that no matches were played at the weekend. All 19 fixtures in the Hattons Solicitors . National Conference League were wiped out. However, there will be backlog spaces for fixtures to be played but for now the clubs move onto next week's fixtures. This means that Stanley are due to play a local derby against Oulton Raiders who are currently 2nd in the table just above Stanley. This promises to be an excellent prospect and any further news about whether it wil be played will be on the website. With the likelihood of all BARLA County Cup fixtures being postponed for a second time due to the adverse weather conditions, all the fixtures will be scheduled for the next weekend - 11th/12th December. The fixtures will remain as the draw and not be reversed. The heavy snowfall last week caused havoc with all sporting fixtures and indeed no matches were played at the weekend. All games in the Hattons Solicitors National Conference League fell victim to the severe winter weather. A combination of frozen ground and snow meant no action for all 39 teams and every one of the games will now be re-scheduled for later in the season. Two of our junior teams - the Under 14s Rangers and the Under 13s - had their quarter final matches in the BARLA Yorkshire Cup postponed. Both matches are rescheduled for Sunday 5th December, kick off at 11.30am. Two last-gasp tries from Myton Warriors gave them a 24-22 win over Rangers at the weekend. This was Stanley's first defeat in five matches and Myton's first win in five and it was the last minute conversion by Myton's Kris Walker that gave the visitors the two-point margin. Stanley's points came from tries from Williamson, Cattley, Firth and Dobson with 3 conversions by Danny Grice. Rangers are still in third place in the table. Congratulations to the Under 13s and the Under 14s Rangers who have both progressed to the quarter finals of the BARLA Yorkshire Cup. Their forthcoming games are to be played on Sunday 28th November, kick off at 11.30am. The Under 17s have now had to withdraw from the Yorkshire Youth Combined League for this season. Coach Daz Gaunt, in this week's Rugby Leaguer and League Express, pinpointed the impact of the Scholarships Schemes as a factor. The scheme involves summer matches and the impact these games can have on players returning to the autumn fixtures may be a contributory factor.More of this debate can be read in the "Talking Grass Roots" column with Phil Hodgson. Two great new offers in the online club shop from Play.com and Dare 2b give you cosy warm wear on great offers. Remember that everytime you follow the clicks through the club shop help to earn money for Stanley Rangers ARLFC. Rangers are keeping their promotion hopes alive with a fourth win on the run against Milford Marlins, 32-18. This keeps them in third place on equal points with second place Widnes St Maries who are above on points difference. Oulton Raiders still top the league. The first team are at home this weekend - 20th November - against Myton Warriors, currently 9th. The kick off is 2pm. The Under 12s team who lost their kit in a dryer fire have benefited from the Wakefield Council's Community Chest grant scheme. After an appeal from Martin Sowerby in the Wakefield Express, Councillor Clive Hudson suggested the team apply for a grant and the successful application has enabled the team to buy kit for the next two seasons. In the same fire that affected the U12s team, the Under 14s also lost kit. The team have been very grateful to the city centre restaurant Bollywood Lounge in Wakefield who have donated funds to enable the team to buy kit and polo shirts for the next two years. A stunning 34-18 win over Widnes St Maries has kept Stanley in third place and ended Marie's winning streak. Six tries from Craig Rhodes, Craig Williamson, Danny Grice (with a hat trick) and Joel Marsh along with five goals from Grice overcame a second place Widnes. This weekend, Rangers travel to Milford Marlins. Rangers moved up into third place this weekend after a strong win over neighbours Normanton Knights 28-10. Tries from Gary North, Dave Foster, Danny Grice and Callum Hunter along with 6 goals from Grice sealed the win over Normanton. Next weekend Stanley are at home to second place Widnes St Maries in what promises to be an exciting match. Come along and support the team! Stanley Rangers A have been drawn to face Sharlston Rovers A in semi-final of the Wakefield Physiowise Cup in the draw for the cup at the Physiowise headquarters on Wednesday. Rangers had a 50-24 win over Eastmoor A in the quarter finals and Sharlston edged Wakefield City 28-20 in their quarter final match. In the other semi-final Normanton Knights a travel to Ryhill Hammers. The dates for the matches are yet to be announced. Ex-Stanley Rangers player Adam Milner, now playing for Castleford Tigers, has been named as captain of the England Academy to take on the Australian Schoolboys in their UK tour this month. In an article in the Pontefract and Castleford Express, Adam said “I’m really pleased by the honour and I’m looking forward to getting stuck into the Aussies." The two game tour will begin on the 4th December at Barrow and then at Castleford on Friday 10th December, ko 7.30pm. Stanley's youth teams were in action in the BARLA Youth cup this weekend. The Under 17s lost to West Hull 18-0; the Under 15s were just beaten by Skirlaugh Bulls U15s 14-10; the Under 14s Rangers beat Skirlaugh U14s 24-14; the U13s had a huge win over Meltham All Blacks 54-0 and the Under 12s were closely beaten by West Bowling 16-12. After leading 12-0 at half time, Stanley came through winners 28-6 against Eccles and Salford Juniors. Tries from Gollings, Colleran, Cattley, Grice and Hogan, with four goals from Grice gave Stanley the points they needed for a good home win which keeps them in fourth place. Next weekend (30th October) Rangers go to Normanton to take on local rivals Normanton Knights. The A team beat Crofton Cougars 34-12 in the Wakefield Open Cup at the weekend. Next weekend the team are back to league fixtures with a home game again against Crofton. Rangers' trip to Castleford Panthers ended in a 22-36 loss and kept the team in fifth place on 8 points with Milford Marlins and Ince Rose Bridge above them on the same number of points. This weekend the team are at home to bottom-of-the-table Eccles, kick off at 2.30pm. Congratulations go to three of our junior teams who are top of their divisions. The Under 15s are top of Division One and our two Under 14s teams - the Rangers and the Wildcats - who are both top of their respective divisions - 1 and 3, after five games this season. Keep up the great work! Rangers' third win on the trot against Millom, 27-20, keeps them in fourth place in Division One. It took a last minute field goal from Gareth Whitehead to put the game out of Millom's reach. Tries from Williamson, Gaunt, Brown, Marsh and Grice, with three goals from Grice gave Stanley the points they needed to keep them above Myton Warriors. Next weekend, Stanley travel to local rivals Castleford Panthers. The Roll of Honour that lists the professional clubs that Stanley Rangers players have played for has now been updated thanks to the efforts of player Liam Crawley. There are now sections on Academy Internationals, Amateur Internationals and Academy Origins players listed, so please take a look. Rangers continue their good run with a 28-24 win over hosts Rochdale Mayfield. This win moves them up to fourth place in Division One. Try scorers were Jackie Hogan, Kevin King, Matty Firth and Joel Marsh. Rangers next game is at home to Millom currently in fifth position. The Under 9s are beginning their new season but would still like some more players. Training is on Wednesday night at the Coach Road pitch at 6pm and on Saturday mornings at 10am at the club.If you would like to find out more about the team please contact Danny Burton on 07540939588. The team also did fundraising last week at Morrisons in the Riding centre and raised £200 in one hour towards their kit. Well done! Well done to the Under 15s who are having an excellent start to the new season and are currently top of Division One of the U15s League. The U14s Rangers are currently second in Division One; the U14s Wildcats are third in Division Three; the Under 13s are midway in Division One and the Under 12s are also sitting midway in Division One. Well done to all the teams and their coaches who are all working hard this season. Stanley had a good home win against Stanningley at the weekend, coming out 16-8 winners. Tries from Taz Wildey, Danny Grice and Gaz Whitehead with the goal kicking of Kevin King keep Stanley nicely in the middle of Division One. Rangers travel over the Pennines this weekend to take on Rochdale Mayfield. In a hard-fought game it was Oldham who came out winners over Stanley at the weekend, 30-16. Tries from Stanley's Matty Firth, Liam Crawley and John Gledhill with 2 goals from Kevin King made up the score. This weekend Stanley are at home to Stanningley, kick-off 2.30pm. There's a new social media 'share' button on the top right of the page, which you can encourage your supporters to use. This adds a link onto their Facebook and Twitter to the Webshop, so that their friends and family can purchase through the Webshop too - every purchase counts. In an enthralling clash, Stanley gained their first win in the division, beating Ince Rose Bridge 28-20 away. Two tries in the final five minutes of the game from Kevin King and Craig Williamson gave Stanley the two points. This weekend, Stanley are again away, travelling across the Pennines to Oldham St. Annes. Stanley Rangers A team have made a great start to their season in the CMS Yorkshire League, winning both their first two games. A narrow first win over Heworth away on the 4th September was followed by an impressive 54-14 win over Harehills last weekend. This weekend the A team play in the first round of the Wakefield ARL Physiowise Cup at home against local rivals Eastmoor Dragons A. The Under 8s, Under 9s and Under 10s are now training at the Coach Road pitch, just off Rooks Nest Road at the junction with Lime Pit Lane. The Under 10s are training on Tuesdays and Fridays at 6pm and the Under 8s and Under 9s will be training there on a Wednesday evening at 6pm with Emma King. Rangers' first taste of life in Division One ended in a win for local rivals Oulton Raiders but Stanley fought all the way. At half time Raiders were narrowly leading 10-6 but second half tries gave the home side a strong lead although a well-deserved try from Darryl Gaunt closed the gap, to give the final score 12-22 to Oulton. Next week Stanley travel to Ince Rose Bridge. The first day of the Natinal Conference League begins on Saturday September 4th. Stanley Rangers first game in their new division begins with a home fixture against Oulton Raiders, relegated from the Premier Division, in what promises to be a cracking "derby". Kick off is at 2.30pm so please come along and support the team. Fixtures for the junior teams are still being confirmed. However, all these teams should have home fixtures: on Saturday 11th September - the U10s, U11s and U12s and on Sunday 12th September the U8s, U9s and U15s. As more information is available the team pages will be updated accordingly.